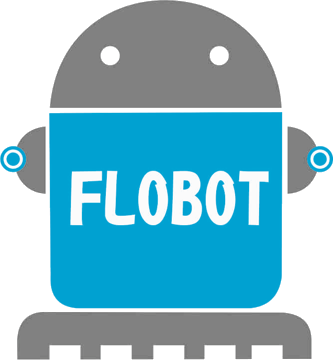 The first FLOBOT workshop was organised in Lyon, France. 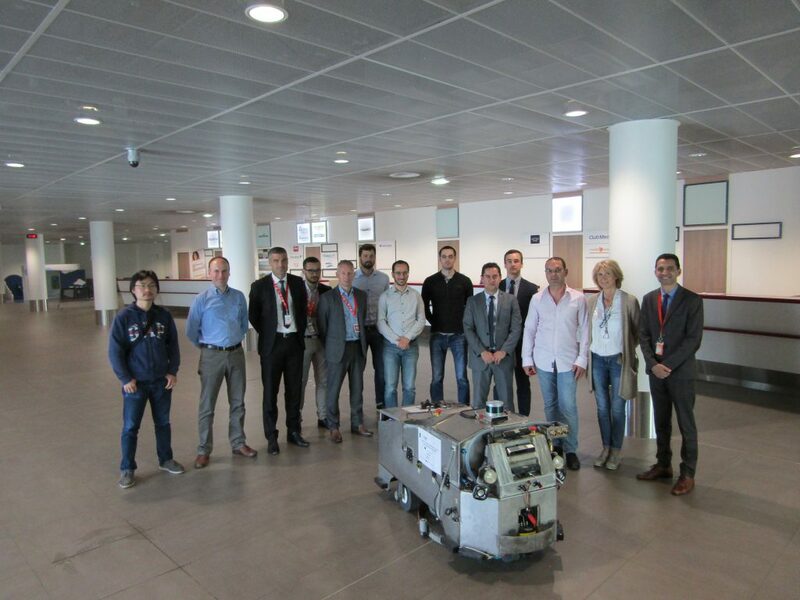 The venue was the Lyon Saint Exupery airport, where also the FLOBOT validation took place. 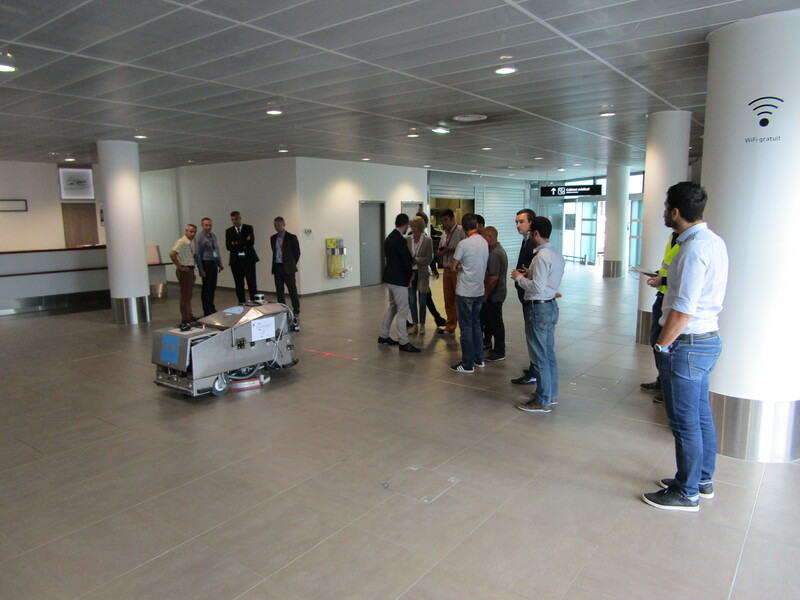 In fact, the workshop was organised in the same period as the robot validation and testing in the airport, in order to be possible to perform a live demonstration. First, a short project introduction was made by CyRIC. A presentation was given by Dr Hadjiantonis. 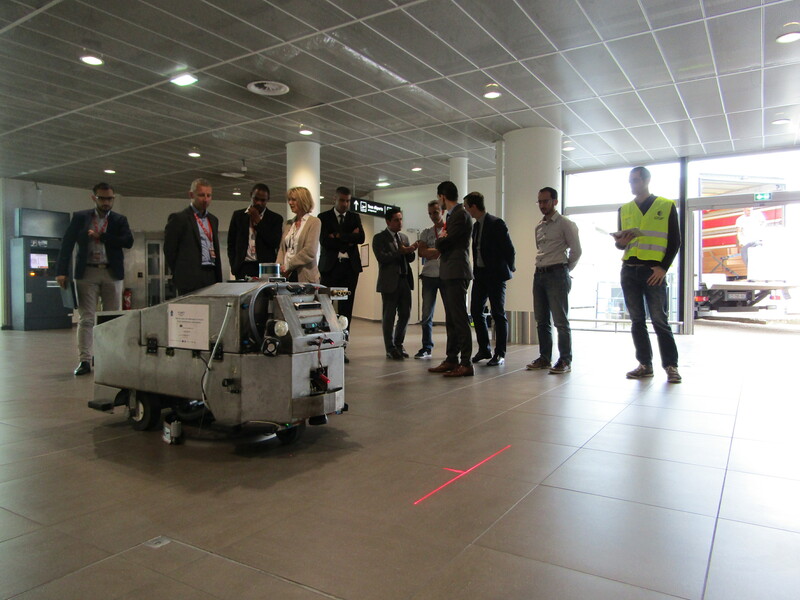 After completing the presentations, videos from previous demos were also shown to the participants, in order to explain a few things about all modules’ operation. After replying to questions from the participants, the group was transferred to the demo location, where a live demonstration of the robot in action took place. The workshop took place on the 14th of June. In total, 27 people attended the workshop, mostly GSF senior personnel and GSF clients (Airport administration).